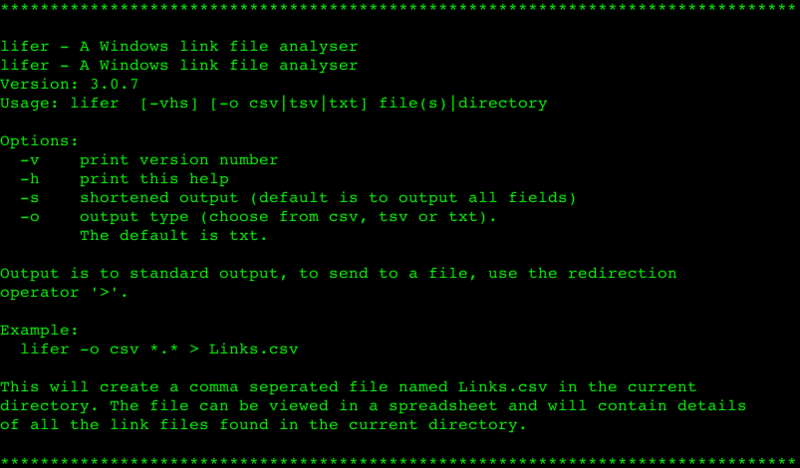 Browse: Home / lifer – A forensics tool for Windows link file examinations (i.e. Windows shortcuts). lifer – A forensics tool for Windows link file examinations (i.e. Windows shortcuts). ‘lifer‘ is a Windows or *nix command-line tool inspired by the whitepaper ‘The Meaning of Link Files in Forensic Examinations’ by Harry Parsonage and available here. 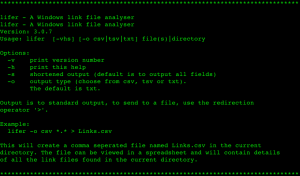 It started life as a lightweight tool that I wrote in order to extract certain information from link files to assist in enquiries I was making whilst working as a computer forensic analyst. Now I am retired but I am looking to expand it’s usefulness and publish it so that others can benefit. + A full output conforming to all of the sections in the MS-SHLLINK documentation. 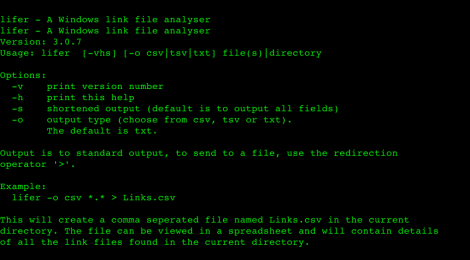 + Recognition of, and parsing of link file data within jump list containers. - Left-click on File->Open->Project/Solution and browse to the lifer.sln file to load the solution into Visual Studio. - Provided there were no errors you should have an executable 'lifer.exe' file in the relevant sub-folder of your project. ← explo – Human and machine readable web vulnerability testing format.